We are delighted to have been selected as the top estate agent in Fleet by independent comparison website estateagent4me. We are delighted that Check 4 Houses has been ranked as the best performing estate agent in Fleet. The statistics show we are delivering a 70% success rate of selling homes. We take an average of 42 days to sell properties. We have a track record of achieving 100% of asking prices. At Check 4 Houses we deliver a genuine, reliable and professional house selling service for up to half the cost of a traditional high street agent. From our head office in Fleet we sell properties in Fleet, Farnborough, Farnham and further afield across England, from just £599 or 0.5%+VAT. We work together with our customers to ensure the house selling process is as stress free as possible. Please give us a call on 01252 819725 or contact us and we would be delighted to give you a free, no obligation valuation of your home. Hart District Council have opened a consultation to enable residents to have their say on the Hart development plan. This local plan will shape the future of Hart’s towns, villages and countryside. According to the Hart development plan, since 2011 5,304 homes have already been built or permitted. 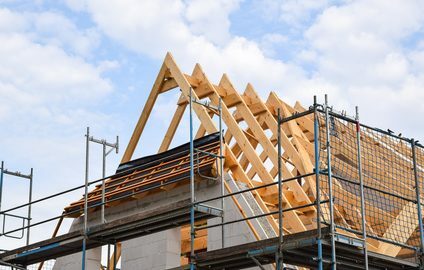 Allowing for ‘windfalls’ from unidentified small sites, this means the council needs to plan for 4,591 new homes by 2032. The council’s preference is to use brownfield (previously developed land) where possible. Of the 4,591 homes required, 2,030 (44%) will be provided by ‘brownfield’ opportunities. A new community of 1,500 homes will be built on the site of the former Pyestock National Gas Turbine Establishment (Hartland Village). Extension of the Sun Park site adjacent to M3 Junction 4a will provide a further 320 homes. The rest of the sites are expected to come from ‘greenfield’ land, including a new settlement of up to 1,800 new homes at Murrell Green. The council are running staffed exhibitions and drop in sessions at a variety of locations across the district. These events are designed to give everyone a better understanding of the plan and the opportunity to talk to the council. Dates include The Tythings in Yateley on 10 May and Hawley Leisure Centre on 15 May. You can view a full list on the council website. Leaflets have also been sent to all households and businesses in Hart. You can find out more about the Hart Development plan and have your say online at www.hart.gov.uk. You can also download a response form and email it to planningpolicy@hart.gov.uk. The closing date for comments is 9th June so you still have time to share your thoughts. If you are looking to move within or even relocate to Fleet and its surrounding areas then we can help. Why not check out our properties currently for sale, as well as some comments from happy customers who have sold their property through Check 4 Houses. Please give us a call on 01252 819725 or contact us for a free, no obligation valuation of your home. We can sell your property for just £599 or 0.5% + VAT.